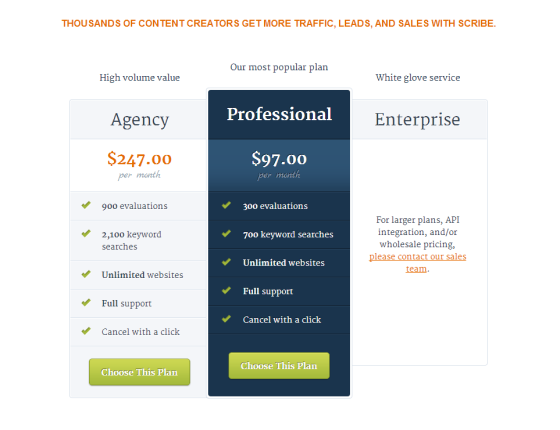 But starting price from $97 USD per month, its way too high for even mid-level site owner. And the amount of time need to put for this process it's not suitable for a dynamic project, maybe better for corporate static site. Just my 2 cent. No offense to Scribe. You guys definitely made a wonderful market/SEO research tool.